Christion Abercrombie returns to TSU campus for the first time since his season-ending injury on the football field. 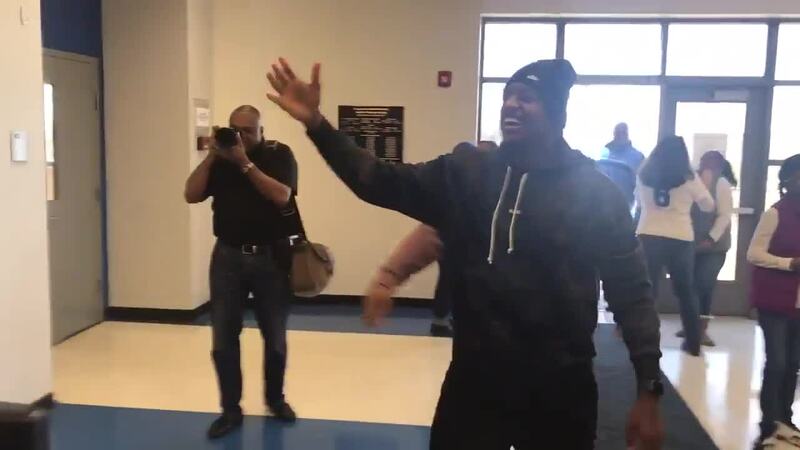 NASHVILLE, Tenn. (WTVF) — Christion Abercrombie returned to the Tennessee State University Campus today for the first time since being injured early in the football season. Abercrombie collapsed on the sideline during the TSU-Vanderbilt game on September 29, 2018 and was quickly transported to a hospital in Atlanta that specialized in brain injuries. After an announcement in late January that he would be returning to TSU to finish his degree , Abercrombie was welcomed by teammates and more on Saturday who were all very excited to see him. You can watch his warm welcome below.